Worship in this postmodern world is happening in new places and new ways via visual arts, trendy music and even in a context around a shared meal. Read about new endeavors in the Texas Annual Conference as the UMC offers new environments to bring the good news in a way that is both culturally relevant and theologically responsible. Every menu is planned around a theme wherein the pastor incorporates interesting facts, stories and questions that are presented as each course of the dinner is served. Adds Tamir, “If you haven't heard Meredith speak, she is a gifted and engaging storyteller who grabs your attention immediately.” Topics previously discussed include: community, feasting and fasting, hospitality, forgiveness, flavor, and reconciliation. It is up to the participants at each table (usually groups of 6 to 8) to decide how deeply they wish to delve into the questions and how vulnerable they are willing to be with what they share. 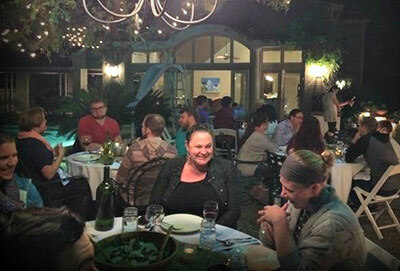 According to Tamir and her husband, Pastor Meredith’s vision for Gastrochurch seems to be very much in line with where the future of the church is going -- back into homes, at times other than Sunday mornings, centered around a table and very much a return to the Biblical roots when church was held in houses instead of houses of worship. “Many of us today are seeking ways throughout the week to connect with and experience God outside of a building and in a more relational way,” she shares. 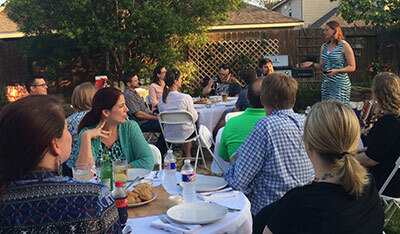 As one of the Texas Annual Conference newest church starts, Gastrochurch events are held in the evenings, and they last about two to two-and-a- half hours. Every event has a theme, and the theme dictates the menu as well as the reflections and questions for the evening. With every course, a facilitator gives a short reflection and a discussion question for the table. The questions get more intimate as the evening progresses. After the meal, there is a short break during which people are free to leave if they need to. After the break, the remaining attendees share in a short communion service. “Statistics show every year that there are people hungry for spiritual connection, but not interested in conventional church,” notes Meredith. Gastrochurch seeks to be one of many ministries that are offering a spiritual community to people disenchanted with church. She believes that, for some, Gastrochurch might be a spiritual supplement to their normal church activity. For others, it might be a path to reconnect with a local church or the place that becomes their spiritual community. Share this new worship opportunity with friends via www.gastrochurch.org. The website provides location information, and allows registration for an event, or for the email list. Rev. Keith Somerville also champions church environments that are comfortable, welcoming and non-threatening. As the leader preparing the groundwork to launch this new community, his vision is to “create a dynamic, barrier-free environment for all people to grow in mind, body and spirit,” through multi-sensory worship, leadership classes and an open culture of love and purpose. 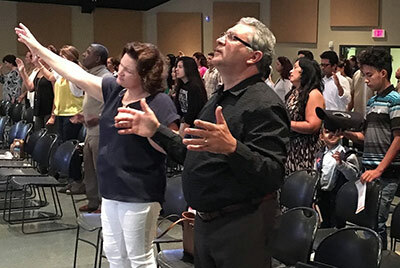 “One Life Church began praying and meeting July 13, 2016 in Missouri City, Texas with a projected date of first service during the season of Advent,” he shares. His leadership team is most excited about engaging people of various backgrounds. So far, initial leaders and members are engaging the community by being present where they are, demonstrating by example how believers are just like everyone else. Adds Keith, “We will also have BBQs in the park, family fun days and conduct workshops in the community that address the needs of the community including healthy habits, building strong families, how to start your own business. Ultimately, the goal is to constantly connect our Faith with everyday life. 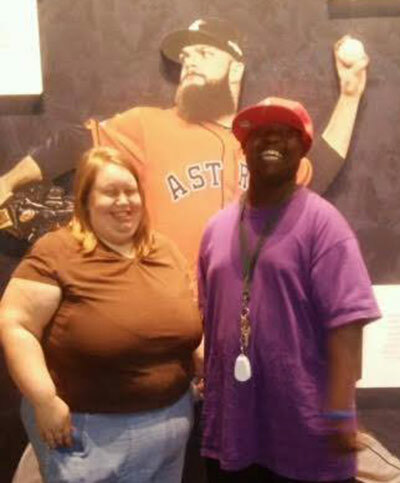 Hope Adult Day center, a facility serving clients who have mild to severe mental and physical disabilities. 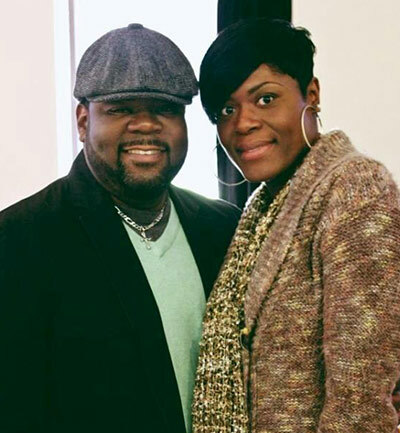 Bradford Deyon adds, “The mission and direction of One Life is nothing short of exciting. A church for all people that takes a holistic approach to ministry is refreshing. Our lives have many different components, spiritual, physical, and emotional. Each is a vital and important part of an abundant life. Like the body of Christ each component is essential and can't be ignored. This approach is the future of relevant ministry and One Life is at the dawn of a new day in Missouri City, Texas! An avid believer in leadership development, Keith is putting plans in motion for a leadership academy to be called Lion Chasers. One Life’s vision states the goal of providing lectures and workshops that train Christ-centered leaders, as well as the pledge to take Godly risk and do unconventional, transformative work. The Cristo Reina congregation began much like Jesus and His disciples – as a group of about a dozen meeting in a small classroom at Bear Creek UMC. Pastor Franklyn Rodriguez recalls that at least six within that original group were eager to work in evangelism to personally reach out to others who did not know God within the community. "This year's new church starts represent a diversity of mission fields, target demographics, and ministry styles,” shares Rev. Jeff Olive, TAC New Church Development Director. “Each of these pastors is an innovative and passionate leader who are taking risks to follow God's lead in their lives. The bounds of the Texas Annual Conference hold some of the most diverse demographics in the country and our conference is committed to creating new places to reach all God's people."